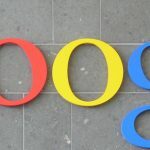 In an attempt to further protect its customers after numerous security incidents, Google is taking steps to improve user privacy from the spying apps they download. The measure is a part of Google’s Unwanted Software Policy for Android devices, which was most recently updated in the month of August. The idea with this particular measure is to make it more clear to users which applications, especially third-party apps, have access to personal data of its users. The way that Google intends to do this is through a new notification system that makes users aware of just what they will be allowing the app to see. You may be thinking that there isn’t much difference between this and the permissions warning you receive before downloading an app, but Google seems to be taking it a step further. This definitely is another step in the right direction, and it is encouraging to see Google being more proactive in trying to protect Play Store users from spying apps. At the same time, it seems that this still leaves a lot of gray areas in terms of protecting users. Google is still putting much of the protection of data on the user. Obviously, active warnings are important, but the root of the issue is still not being dealt with. Much of Google’s Play Store woes have come from applications that inject malicious code post-download, so until this problem is dealt with head-on, I can’t see how Play Store is going to truly protect its consumers.